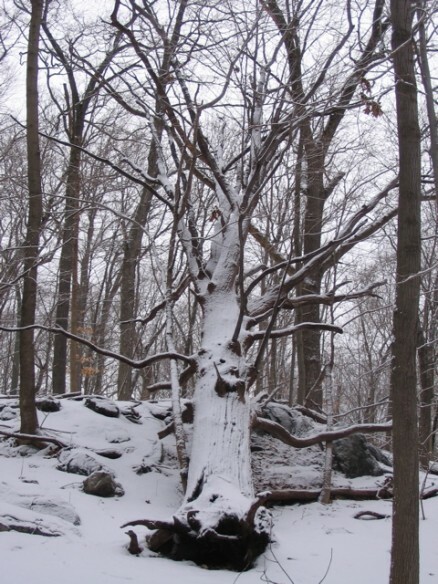 It’s funny how you can go past something numerous times and never know it’s there. 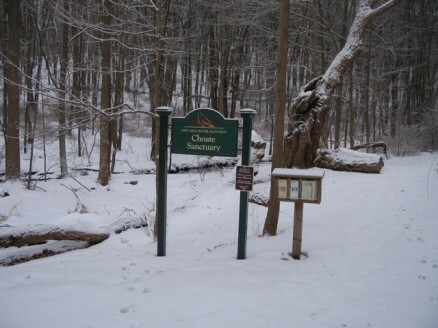 I live in Mount Kisco, and have driven past the Choate Sanctuary many times. I had no idea it was there. 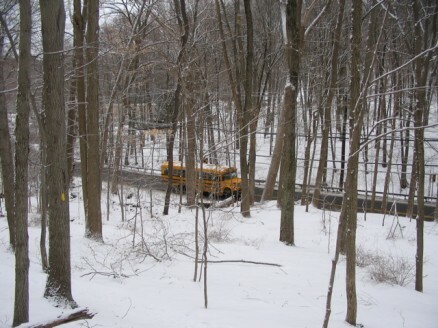 The entrance is located at the northwest corner of Millwood Road (Route 133) and Crow Hill Road, about 1 mile west of Mount Kisco. 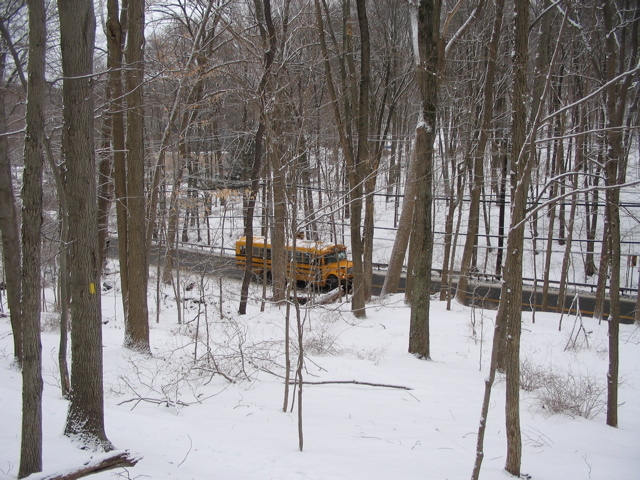 I parked in the church parking lot across Route 133 from Crow Hill Road. 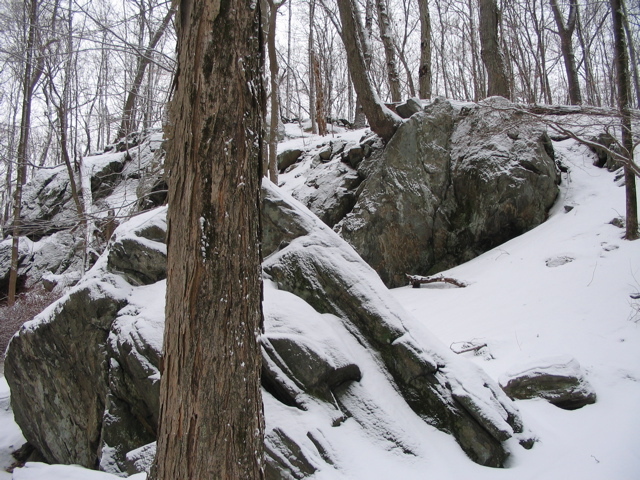 It’s listed on the trail map as being a place to park, so I assume it’s ok. I left a note on my dash saying I was taking a hike, and left my mobile number in case there was a problem. It’s a fairly small sanctuary, at 32 acres with 1.1 miles of trails. Its proximity to Route 133 is also unfortunate, as you can’t escape its noise. 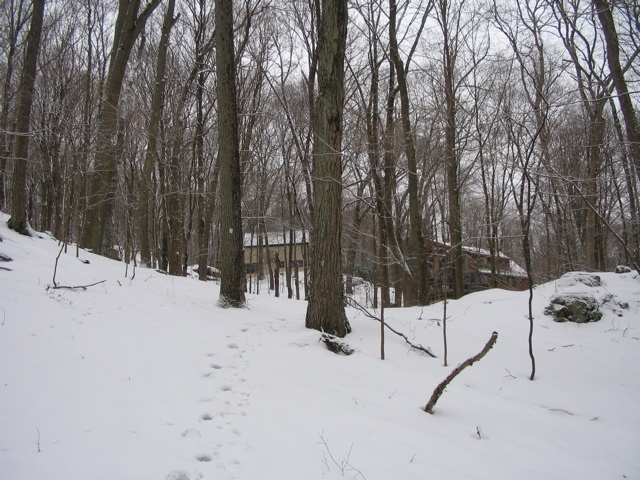 Some of the trails also pass very close to neighboring houses, so your sense of being “out there” is diminished a bit. I assume it’s also a bit unnerving for those homeowners to see people walking through the woods so near their homes. Maybe they’re used to it. 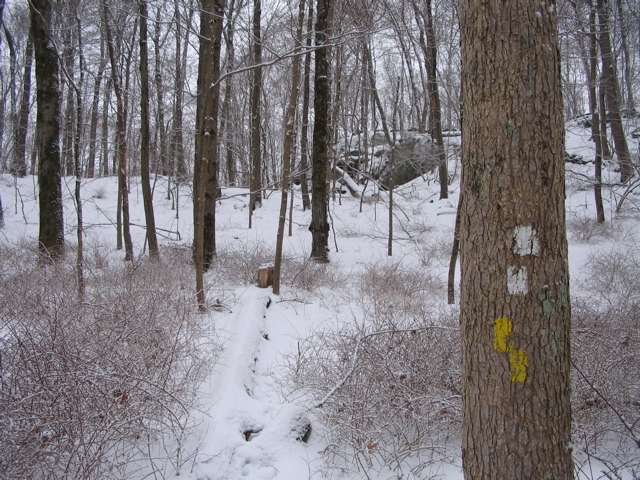 The trails are well marked, and the terrain is fairly hilly. There are some great rock features, but this sanctuary isn’t that exciting. 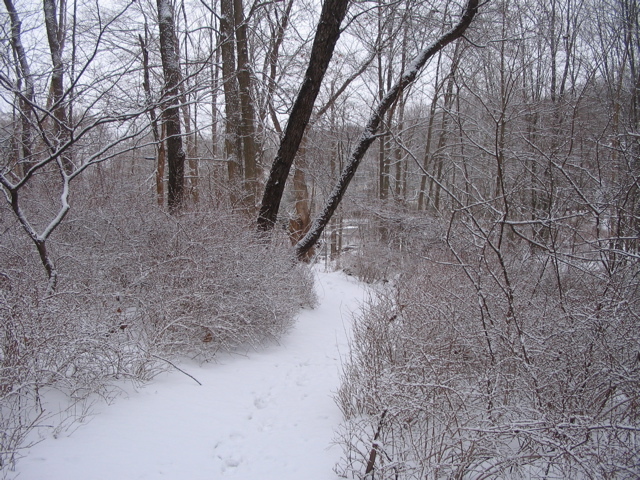 It is rather convenient for me, being so close, though I think I would choose to go to Whippoorwill Park instead, as it is a bit larger and offers a bit more of a hiking challenge. 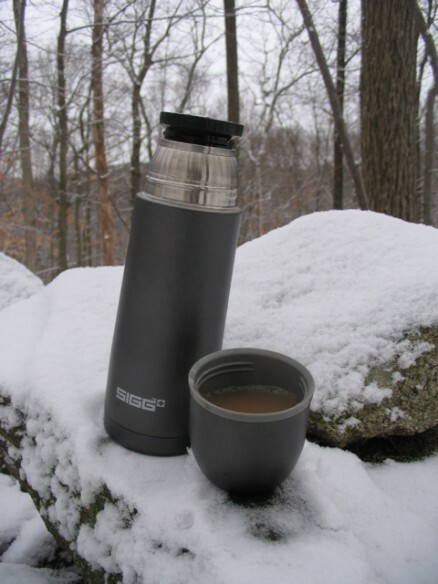 I picked up a Sigg thermos to bring coffee with me so that when I stop for a break I can have a warm drink to go with my granola bar. This thermos is the .35 liter version (about 12 oz.). They come in a .75 and 1 liter size, as well. Handy. 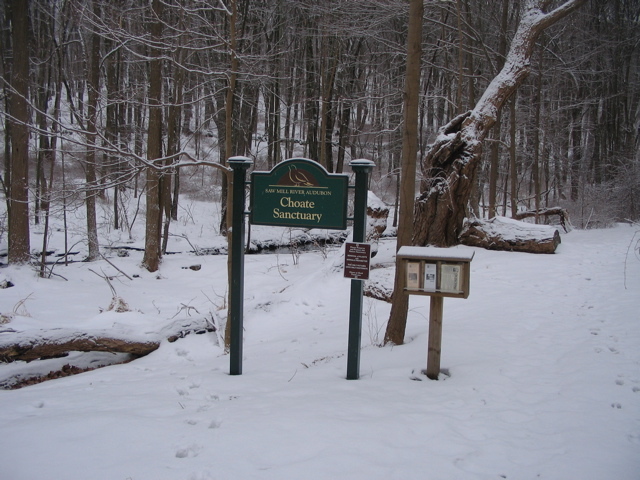 This entry was posted in Choate Sanctuary, Hikes and Walks on February 3, 2009 by Alex Smoller.